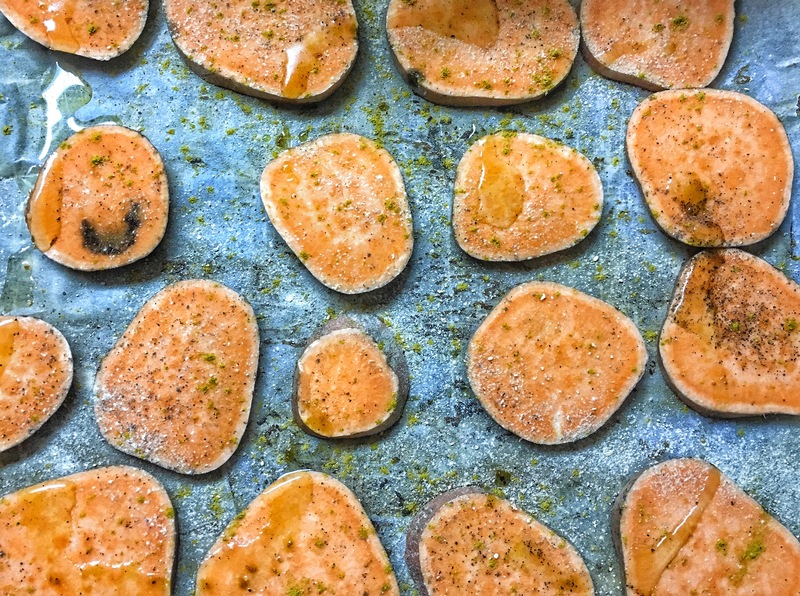 One of my favorite side dishes is baked sweet potatoes. They go perfectly well with almost every meal, and they are rich in flavor, high in fiber, low calorie and naturally sweet. I pretty much add them to any main dish I eat during the week. I definitely recommend you to add this delicious healthy food to your diet! 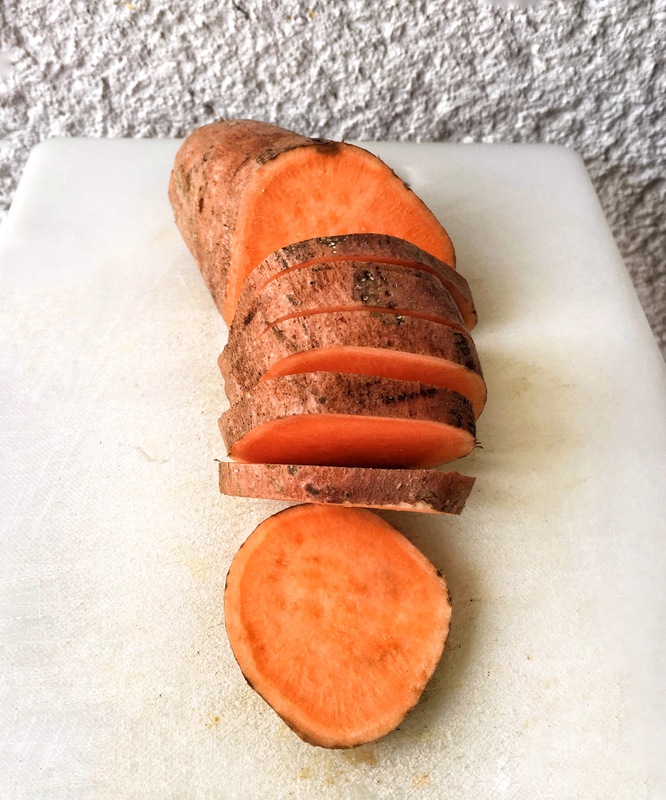 One thing that I love about sweet potatoes is that they are so easy to prepare and can be seasoned in a variety of ways. Let’s start from the beginning then! First things first, you have to find out how you want to season your sweet potatoes. If you ask me I like to keep things basic and simple with olive oil, garlic powder, salt, and pepper. Which is an already safe and tried combination. But I love to make different kinds of heathy dipping sauces, so this time I decided to dip my sweet friends into a healthy curry dipping sauce. Let’s go back to the first step now and s slice those sweeties ! Cut off the ends, so you can make perfect round slices. I don’t peel the skin because it has so much nutrients, if you do peel it just know that you’re missing out on! Fiber and potassium is what the peel is consisted of. So it’s up to you to decide, peel it or leave it. When you are finished with slicing, it’s time to put some olive oil and the spices you chose. Now it’s time to preheat the oven up to 200 Celsius degrees. 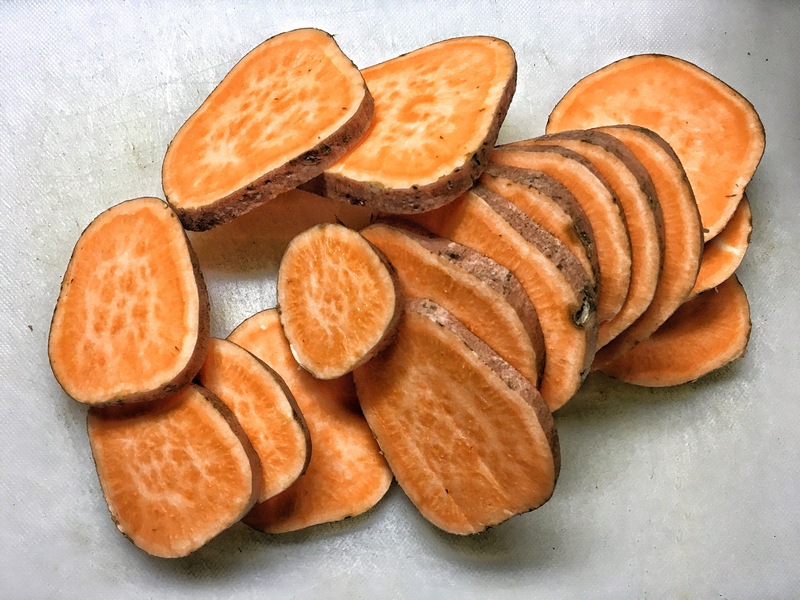 Usually it takes around 40 minutes for the sweet potatoes to be ready but it also depends on how thin you have sliced them. The thinner, the faster! ⅛ teaspoon black pepper And wait, that’s not all. 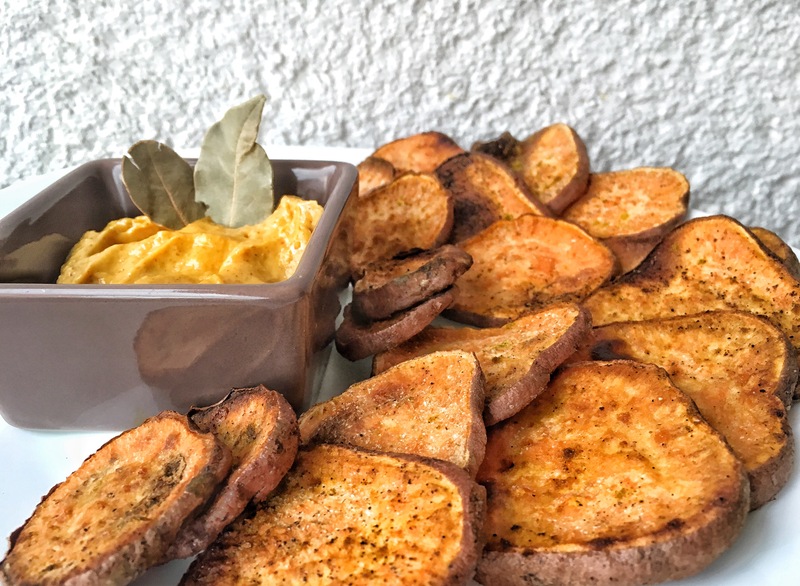 What is a well baked sweet potato without a good dipping sauce. My curry sauce is made with peanuts, which makes it creamy while keeping it dairy free, paleo, and vegan friendly. Soak the peanuts the night before. Place them in a small bowl and cover with water. Set aside. 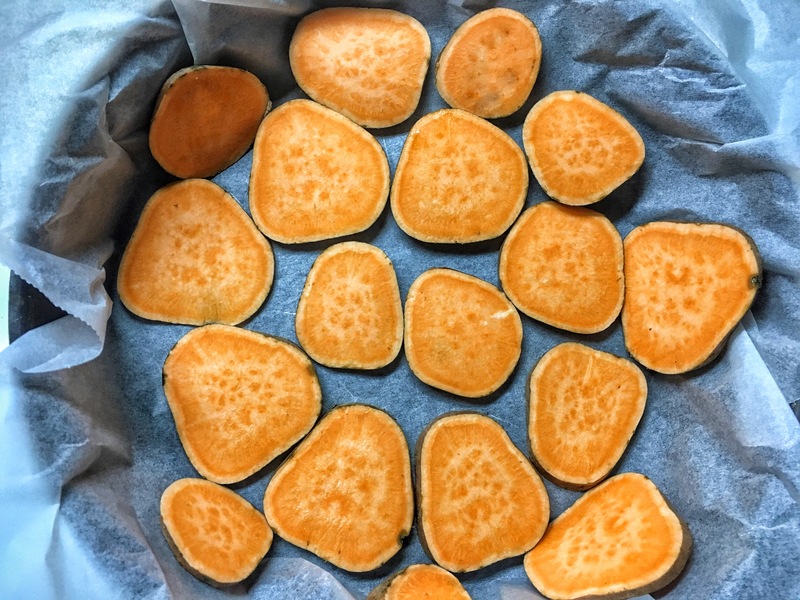 If you forget to soak them, add them to hot water while you prepare the sweet potatos. Place all ingredients into a blender and blend until smooth! 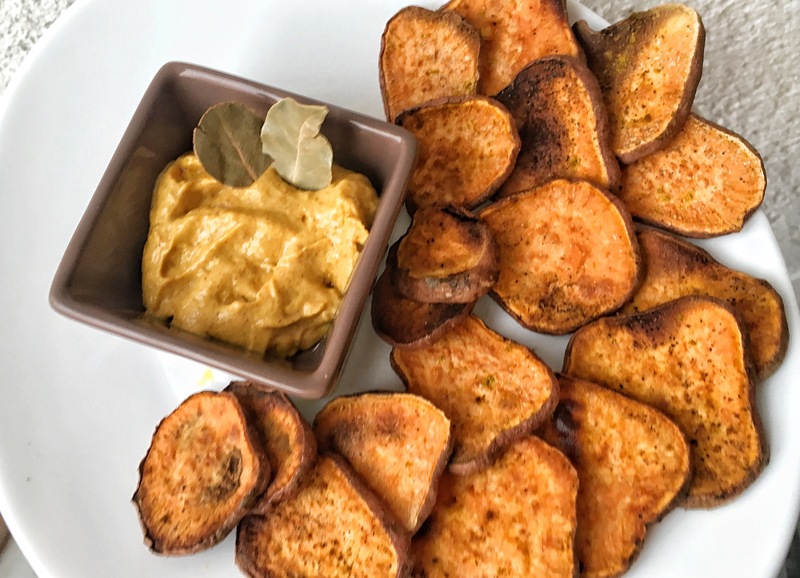 Once the sauce is ready dip your baked sweet potato slices into it and enjoy it!﻿ Follow me on instagram @bbynaj for more posts on staying fit, healthy eating, and living well.